Fazeka's classification is used for grading of changes of small vessel disease. 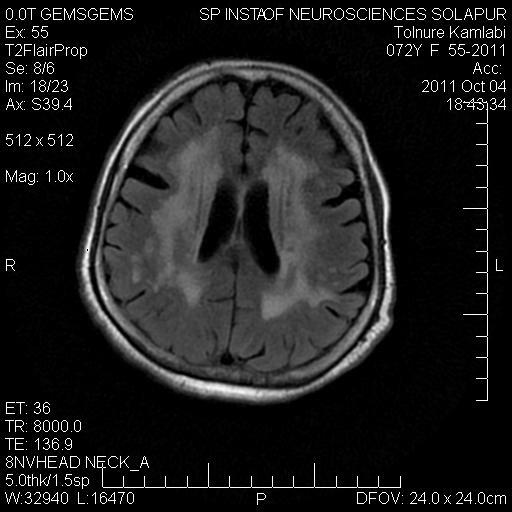 MR is more sensitive and specific compared to CT, Axial FLAIR is enough. 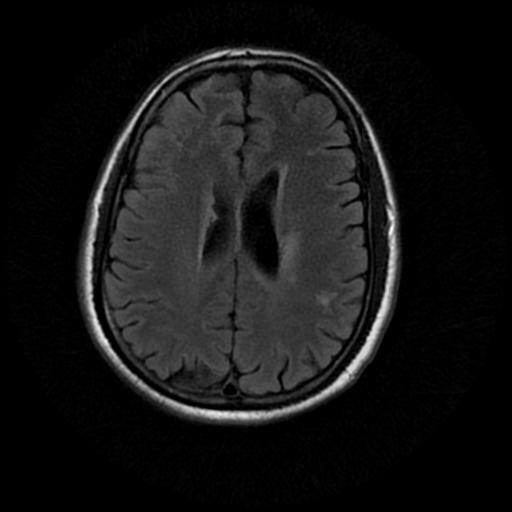 Fazekas I : Mild, few small punctate lesions in the deep white matter. Fazekas II : Moderate; larger WMLs that are beginning to become confluent. 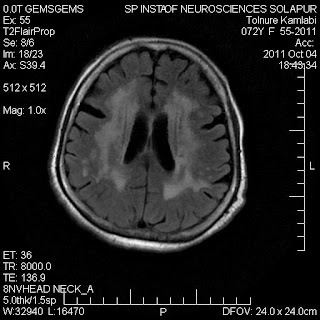 Fazekas III : Severe; confluent T2 hyper intensity. Fazekas I is considered normal in aging after 40. Fazekas II is considered abnormal in patients < 75 Years. Fazekas III is abnormal in any age group and indicate poor control over diabetes and hypertension. 1.grade iii requires T2 imaging always or T1 also we can grade . 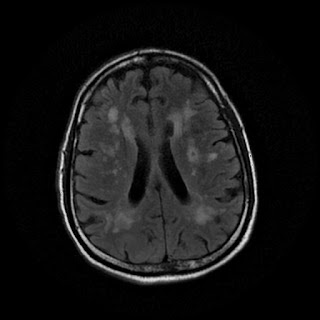 2.difference between demylinating vs wml IN reference to T2 wt imaging ? T1w images are of no use. T2 / FLAIR is must. Demyelinating lesions vs Small vessel disease. 2. Location of lesion and appearance.Lesions involving corpus callosum, callaso septal groove, T2 shine through of lesions, orientation perpendicular to ependymal lining, posterior fossa lesions in cerebellum goes in favor of Demyelinating lesion, an associated cord lesion. MRI REPORT says:- few tiny abnormal T2W & FLAIR hyperintensities seen involving bilateral fronto-pareital periventricular white matter suggest small vessels ischemic changes (Fazeka grade I). No evidence of acute infract, SOL or intra-cranial haemorrhage. What does it implies?